Diwali is the festival that brings good luck to all. The lighted diya should not only enlighten the environment but also has to shed the darkness of poverty and ignorance. However, the question is how far we are able to understand and appreciate the fact that we are moving away from the real essence of the fiesta of light? The festival slowly but surely is becoming a problem for the environment all over India due to the carelessness and heedlessness of the general people around. It is high time that we should recognize the predicament and prepare a roadway by which we can make a healthy and environmentally balanced world. The theme of “green world” is spreading all over the world and it’s our responsibility as well to maintain and uphold a better and safe society for ourselves. Come and do a bit for the society in this Diwali. 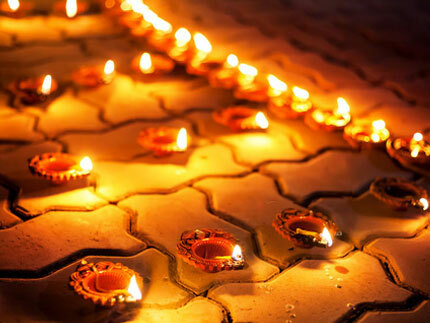 Don’t forget to encourage others to celebrate an environmentally safe and secured Diwali. We are grown up on the lap of the wonderful nature and are blessed with the gifts of nature. It is our primary and most important duty to understand the significance and spirit of the traditional Diwali celebrations. Let us look at some impacts of Diwali now days on the nature. 2. Air pollution for burning fire crackers. 4. Very high consumption of energy. Shun the cheap plastic lights to decorate your home and use the artisan hand made earthen ware and diyas. This way, you will be helping the ecology, helping the poor artisan families, and also help in your nationalism, as these products are locally produced and not imported. You will find them in your local market. Most of us eagerly wait for Diwali to come. We wait to burn fire crackers. Lights of the crackers look awesome, the noise of crackers entertain us and we are thrilled. It is a sad fact that we listen to news on the bad effects of loud noise and environment pollution often but we are reluctant to realize the hazards these fire crackers are causing to our generation. It hugely pollutes the whole environment. The lots of toxic gasses come out in the atmosphere when a fire cracker is burnt due to the presence of the toxic substances in the fire cracker. These are concerns for the health of each and everyone in the society. Birds and animals suffer due to the high level of generated noise. It is one of the important reasons which for people fall sick quite often now days. The making of these firecrackers involves plenty of teenage children. We hardly realize and comprehend the fact that these awful toxic substances which are handled by these young lads have an enormous effect on their health. This is why most of them die in early teen age. 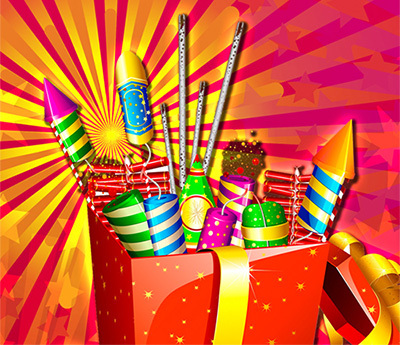 It is not right to burn those firecrackers which make more than 65 decibels of noise. Even though the noisy fire crackers are banned by law but not many are interested to follow these rules and norms. Provisional or even eternal deafness. Even though consumerism has no direct impact but a closer look will help you to understand the huge impact of consumerism. Diwali is the time when people go out to various shops with their families and friends and buy various items. Dotted advertisements of promoting attractive products, advertisements for letting people know about the shops in the market and discount banners entice many to buy more and more items. Some of us are still wondering about how these kinds of excessive consumptions affect the nature and society as a whole. Plastic materials, papers and even clothes come directly from the nature and some of these items are non renewable like fossil fuels and plastics. One day will come when all these raw materials will be insufficient. Exhaustion of non renewable natural resources and properties can definitely be included in the lists of the most momentous and meaningful impacts of consumerism. As an example, the gold items that are bought during diwali are reducing the natural gold storage of the world. The process of mining most likely is running multiple eco systems. Various items which we are throwing away as wastes are filling up the holes and are staying there for many generations before these items are getting integrated into the soil. However, plastics and items like that may exist in the landfill for many generations. So, it is very important to make sure that most of the items that you buy on this Diwali can be reused and recycled. Diwali is a festival which puts heavy loads on the already overloaded electrical sources. The time of festivities, especially, in Diwali, a number of homes and business entities are adorned with colorful lights which definitely consume huge electricity. It is necessary and wise to consume energy thoughtfully. People of the modern society have started to realize the problems and hazards of celebrating Diwali. A number of groups are now trying to innovate new ways by which we can stay safe and secured on the lap of nature. These groups are toiling hard to reinterpret the traditional rituals to safeguard the nature and reduce the level of pollution.